The mantra of Project Semicolon is, “Your story isn’t over yet.” It’s meant to symbolize those difficult times in life when there seems to be no light at the end of the tunnel, but how it’s only temporary; a pause before the inevitable shift – not end – comes to pass. The majority of people who get the semicolon ink have it on or near their wrist. Big, small, it doesn’t matter. And to the top part, some improvise. I’ve seen cats. I’ve seen butterflies. I’ve seen crosses. And so on. It means quite a bit, I hope that’s obvious. 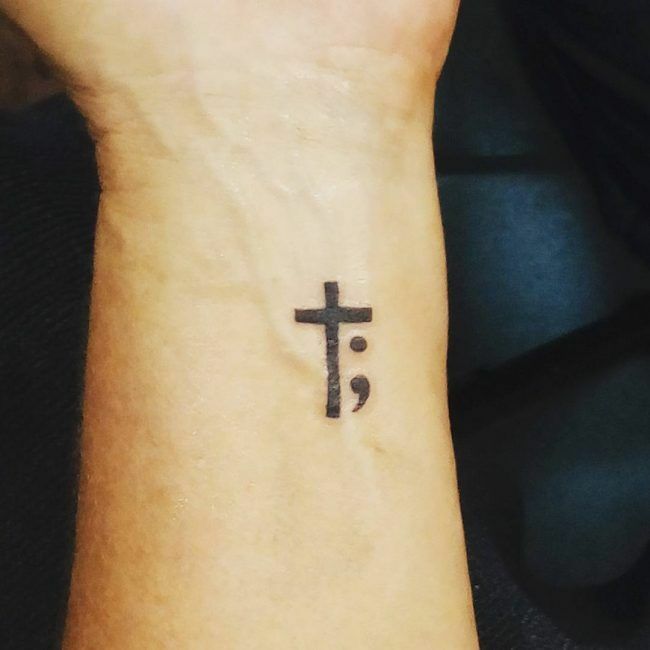 I’ve been planning on getting it for about a year and a half now, and the eve of World Suicide Prevention Day seemed like the best time by far. To be frank, it’s pretty weird to see a tattoo so clear and present. I see the other ones when my shirt is off or if my lower leg is exposed. This is there all the time. It’s going to take some getting used to. More stories about skulls to come.